Michael Diamond was convicted on three charges in May this year relating to the safe keeping, handling and storage of a firearm. 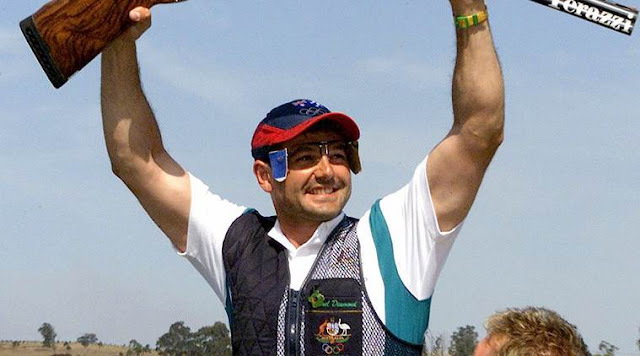 Twice Olympic shooting champion Australian Michael Diamond is aiming to compete at Tokyo in 2020 after having criminal convictions that prevented him from holding a firearms licence overturned on Thursday. Diamond, who won trap gold medals at the Atlanta and Sydney Olympics, had his firearms licence suspended just before last year’s Rio Games after being arrested in the wake of a domestic dispute with his brother in Nelson Bay, north of Sydney. Shooting Australia ruled him ineligible to compete at Rio after an Australian Olympic Committee executive hearing, ending his hopes of becoming only the second Australian to compete at seven Summer Games. Diamond was convicted on three charges in May this year relating to the safe keeping, handling and storage of a firearm and given a 10-year firearms ban. The 45-year-old appealed the convictions, which were quashed at the Newcastle District Court on Thursday. “It was a very costly price to pay, being my seventh Olympic Games and possible flag bearer, however, I had to wear it,” Diamond told reporters in Newcastle before adding his goal was to compete at the 2020 Tokyo Games after some practice. “It’s like riding a bike, you just don’t forget how to do it,” he said.